Waddle Home is a pretty simple puzzle game in which you toggle different parts of the environment to create a pathway for penguins to escape with their eggs on the spaceship home. The spaceship element opens the table for some interesting questions: Are these penguins from a different planet? Space Penguins? Is this even Earth? 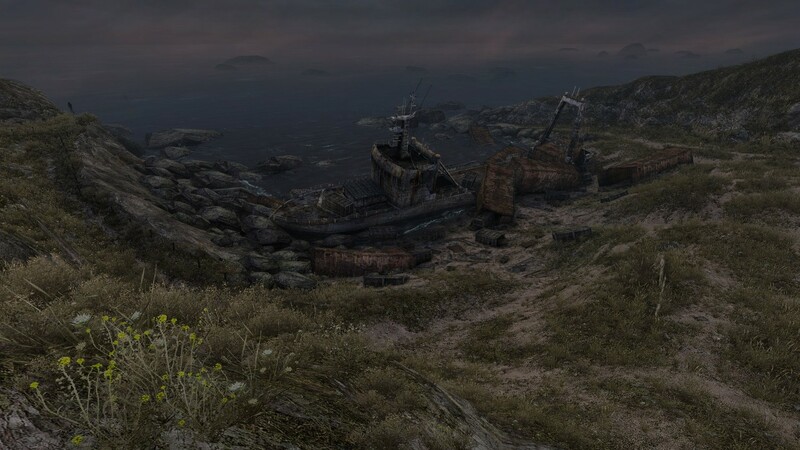 The game never touches upon these mysteries, but they’re fun to think about nonetheless. New mechanics are introduced at a pretty steady pace throughout Waddle Home’s forty stages, but there’s never a point at which the game offers any sort of challenge. It’s a fun little puzzle game on its own, but each stage can easily be finished in under two minutes and with every egg collected on your first try. There’s also no real punishment for a penguin getting caught in a stage other than being sent back to the start (which at most will just increase the amount of time it takes to finish a stage), but you’ll always finish with every penguin saved. I enjoyed Waddle Home for the couple of hours that it took to finish, but it certainly left me wanting a bit more from it. The handful of mechanics the game introduces are interesting, the game just seems to play it a bit too safe and perhaps could have benefited from some more complex mechanics. Waddle Home in VR doesn’t necessarily benefit from a gameplay perspective, instead it allows for a more physical interaction with the world that makes for some pretty cool moments. Bopping penguins on the head is fun and the little squeak sound they make is pretty cute, splashing the digital move controllers in the water is far more entertaining than it has any right to be, and I’ll likely never get tired of playing ‘whack-a-bot’ in some of the later stages of the game. This is accompanied with a pretty upbeat soundtrack and 3D audio that makes it easy to just get lost for a bit in Waddle Home. It’s also pretty cool to lean in and inspect each stage from a closer perspective. My love for penguins is well known at this point and that alone made Waddle Home really enjoyable for me. As a puzzle game, it presents an interesting look at what you could do with VR and demonstrates why 3D audio and the ability to interact with a world is important, however, it doesn’t really expand upon its simple mechanics in enough ways to stay interesting. 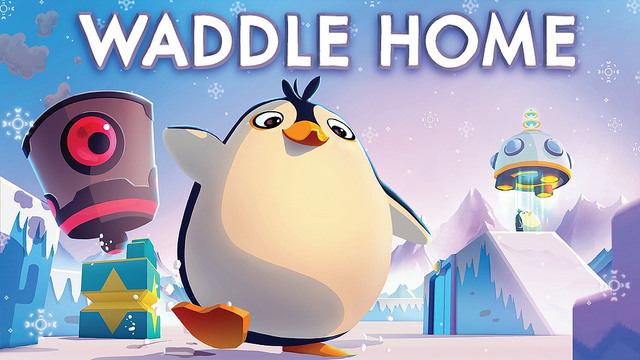 What’s there is cool (it being in VR certainly ensured that I was smiling throughout the whole game), but I’d really like to see Waddle Home do a bit more with what it offers. The amount of interaction you can have with the penguins, robots, UFO, and ocean is really cool.